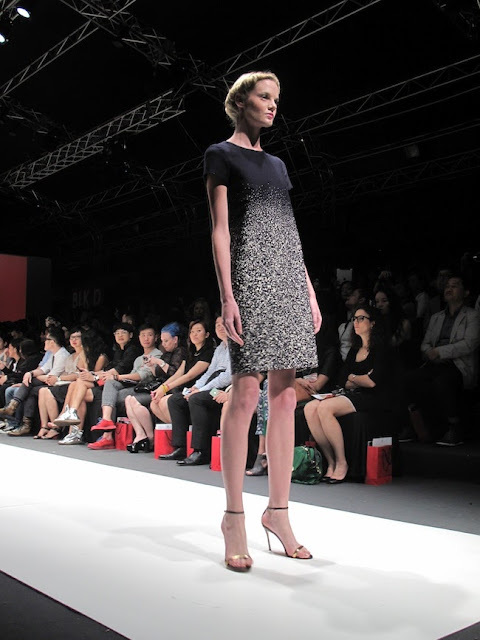 Audi Fashion Festival is pretty much the Asia equivalent of London Fashion Week, and one of the only fashion weeks to showcase some of the worlds top international designers alongside home-grown local talent. Although the festival was celebrating its 5th anniversary, it was my very first AFF this May and yes, I was quite excited to be covering the shows! 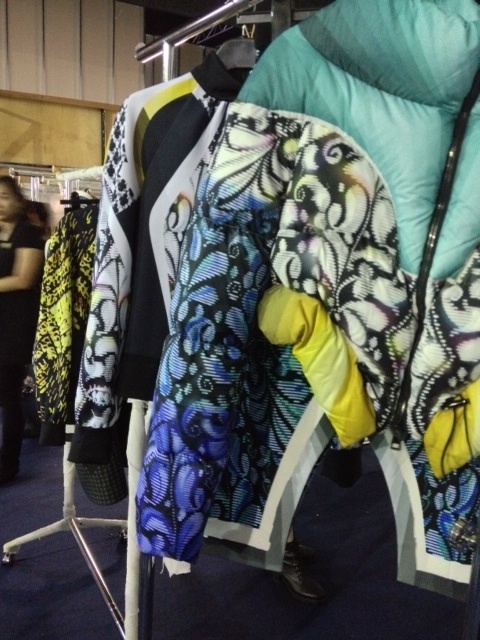 I’ve actually written a full AFF diary report on CityNomads.com, covering big fashion names such as Carolina Herrera, Raoul & Colette Dinnigan. You can check it out by following the link below! If I wasn’t getting hot and sweaty taking photos in the media pit (glamorous!) , I was busy writing notes on the collections & catching up with friends. Heres a quick pick of my top 3 fashion week moments! 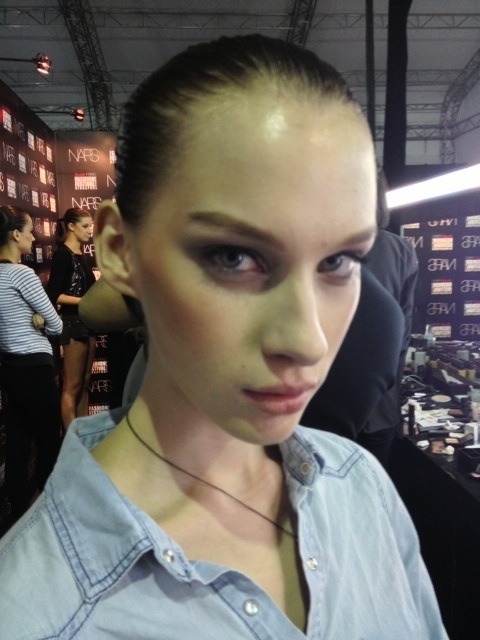 Theres always such a buzz and vibrant energy backstage at fashion shows. Aside from getting an exclusive first look at Pilotto’s genius prints before they hit the runway, it was also great to see the NARS make-up artists working their magic. Model’s skin was dewy, with a light smokey eye and defined cheekbones – a polished yet unintrusive look that ensured the spotlight was kept firmly on Pilotto’s designs. A peek at two of my favourite looks on the catwalk from two of my favourite emerging local designers, LION EARL – becoming well known for their edgy and imaginative designs & Revasseur, for their whimsical and playful take on fashion. 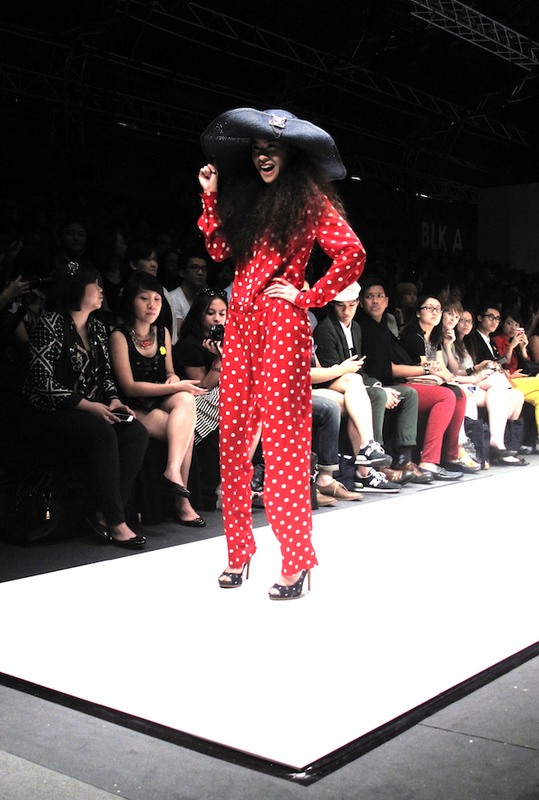 Whats not to love about this Polka dot jumpsuit? The stereotype dictates that fashion girls don’t eat, but the scene at AFF couldn’t of proved more to the contrary. As one of the festival’s sponsors, Magnum bars & Freezers were on hand for a quick sweet treat before, after and – oh to hell with it – in between shows! My favourite flavour by far has always been the Almond – and I definitely indulged. Previous Post A Fashionable Leo featured on Travelshopa.com! Great pics! I just checked out your article, love it. Carolina Herrera is one of my fave designers.